A stroke survivor from Wiltshire has cycled 500 miles over six days, to raise vital funds for the Stroke Association. Father of two, Peter Willetts, 59, had a stroke in November 2015, which affected his mobility and speech. 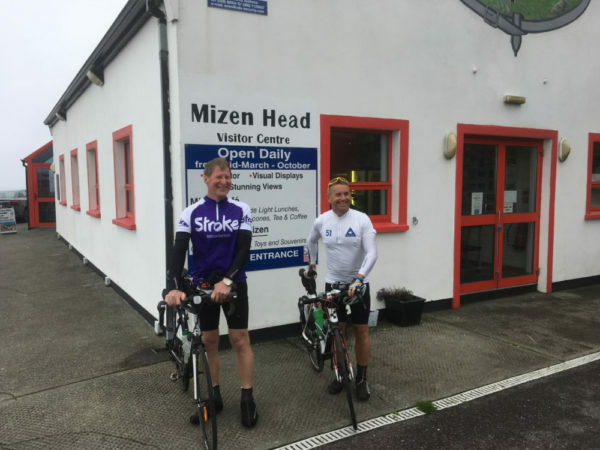 Peter, a keen cyclist, decided to mark a milestone in his recovery by cycling the length of Ireland over six day. Peter said: “My stroke came as a complete shock to me and my family. It completely knocked me, and the idea of getting back on my bike seemed a very distant dream. “Thankfully, with the support from the stroke teams locally I was able to get back on my bike. I wanted to take on a challenge to celebrate my recovery. My friend, Steve Tippins helped me get back into cycling, and improved my fitness and morale. Steve joined me on my cycle challenge and together we mapped out the route and decided we wanted to raise money for charity. “We really enjoyed the cycle, and especially meeting the local community along the way. It felt fantastic to be supporting the Stroke Association; I wanted to not only raise awareness along the way, but also raise money to help other stroke survivors. I couldn’t believe I’d had a stroke at 56 it’s only really when something personally affects you that you become more aware.